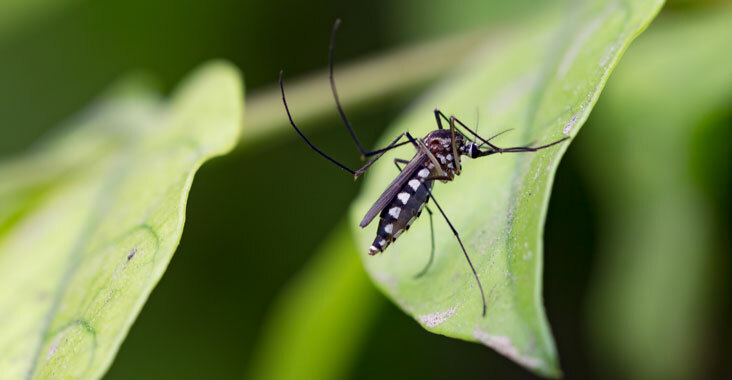 Prevent Mosquito Bites – and what to do if one has bitten you! Although summer is over, it is never to early to think about mosquito protection. So in this article we provide you everything you need to know to avoid getting eaten by these pesky insects AND what to do for the bites that can’t be avoided. Read on to find out more. Mosquitoes feed on human blood because they require the protein for their eggs to mature and hatch into healthy offspring. They sense and are attracted to the carbon dioxide that you exhale, the lactic acid generated by your skin as you sweat, and by your body heat and temperature. Once she picks up a scent, the female of the species is drawn inexorably to your skin, on which she alights and slides a proboscis into you, looking for a capillary from which to draw blood. She also injects saliva containing enzymes that dull any pain and prevent your blood clotting – but which also contain proteins that cause your body to have what is actually a mild allergic immune response. One effect of this is that your immune cells release histamine, which migrates to the site and causes your blood vessels to dilate. As a result there is increased blood flow (including white blood cells) to the site of the bite, and it swells, becomes red, and starts to itch. Because mosquitoes are attracted to human skin, the best way to avoid getting bitten is to create a barrier between your skin and the mosquitoes. And sometimes, the best barrier is simply time and space: avoid the times mosquitoes tend to come out in force, such as at dawn and dusk, AND the place they congregate and breed, i.e. don’t be around sources of standing water like swamps, ponds etc. Indeed, if you have any sources of standing water in your yard, be sure to remove these – for example, regularly replace the water in your bird baths or wading pools, empty the water out of empty flowerpots and containers, etc. Keep your bushes and grass well trimmed so your home doesn’t have many resting places for bugs. If you must be outside when the mosquitoes are around, keep your skin covered as much as possible, wearing pants and a long sleeve shirt, as well as good thick socks and shoes. Tuck your shirt into your pants, and your socks into the pants. Use a good insect repellent on the areas of skin that remain exposed, either a synthetic one containing DEET, or one of the natural alternatives – there are plenty out there. Both work by coating your skin in substances that repel mosquitoes. However, natural mosquito repellents, like the Hydramist Bug Repellent that include Citronella and other Essential Oils, are not only much healthier, but also will do a lesser harm to the environment. Just remember, if using the latter, though, first check how long they provide coverage for – it varies from ingredient to ingredient; if you are going to be outside for a while, you may need to re-apply the repellent throughout the day or night. These typically use light, heat, and gas to lure in mosquitoes, before trapping and killing them. Citronella Candles are also reported to repel mosquitoes. Avoid using extremely bright, yellow colored outdoor lighting in your yard. These also draw in mosquitoes, however unlike a mosquito trap, they don’t kill or trap the mosquitoes! Using these lights does nothing more than attract more mosquitoes to your property. Go instead for subdued, cooler outdoor lighting. And do use mosquito candles or mosquito coils, that will add an extra layer or mosquito protection to your outdoor area. Annoy them before they annoy you! Use a fan when outside. The swirling, rotating air will make it hard for mosquitoes to navigate a straightforward path to your skin. Those are some of the ways you can avoid being eaten alive by mosquitoes this summer. However, if you spend a lot of time outside, then it is inevitable that you will suffer SOME bites. Don’t scratch! This only irritates the skin further. It could also cause infection. Instead wash the site with cool water and soap, and then leave it. Aloe is proven to have a ton of great skin benefits and one of them is soothing bug bites. So, by using an aloe-based product on the mosquito bites (we recommend the Aloe Gel Base) you will not only have less discomfort but the bite will heal faster as well. If aloe is not your jam, try using over-the-counter hydrocortisone products. The corticosteroids in these creams counteract the action of the histamines and thereby reduce swelling. An antihistamine like Benadryl will also reduce swelling and itching. Anti-inflammatory meds like ibuprofen can also help. As can calamine lotion which is a mixture of iron oxide and zinc oxide and helps to cool and soothe insect bites. Heat a spoon by running under boiling water, and apply to the bite. The heat will destroy the proteins in the mosquitoes’ enzymes that caused the reaction and alleviate the itching and irritation. Remember that mosquitoes can also carry disease. If in the days following your bite, you begin to feel sick – in particular if you begin to experience flu like symptoms – you may have acquired something a lot worse than a mere mosquito bite. Go and see your doctor as soon as possible.